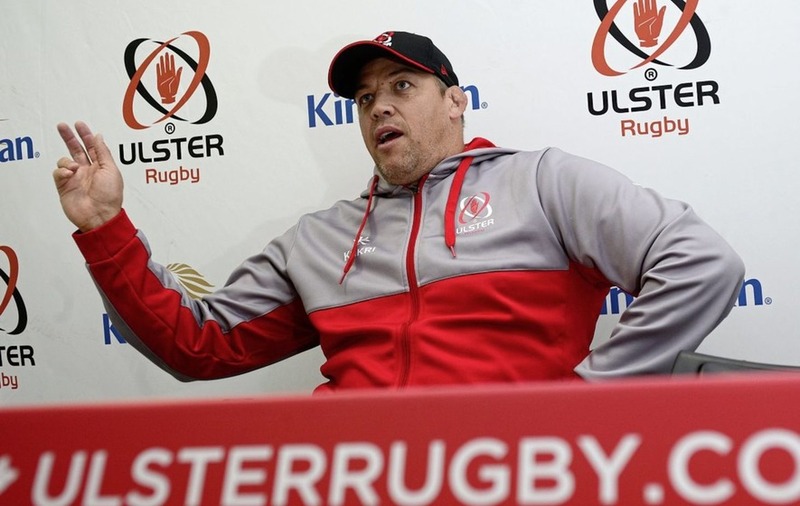 ULSTER head coach Jono Gibbes pulled no punches in delivering a brutally frank and scathing assessment of his team's performance as they fell to a damaging 35-17 PRO14 defeat to Cardiff Blues at the Arms Park on Saturday. The result means that the province's chances of a PRO14 play-off place are all but over and a berth in next year's European Champions Cup is now in even greater jeopardy. Gibbes, who will return to New Zealand at the end of the season, sounded like a man who was nearing the end of his tether as well as his tenure after another error-strewn away day. "It felt a lot worse than that scoreboard suggested and that's probably really, for me, I think, a really deflating 80-minute performance." said Gibbes. "There's not a lot that we can hang our hats on there, not a lot we can be proud of. "The scoreboard, is not a fair reflection of how utterly we weren't in that game. I'm not sure how well they played, to be honest, but it's pretty deflating. "It's safe to say that there's nothing we want to be associated about in that performance, nothing we aspire to be in it and nothing positive. "There's nothing there we want to compromise on or tolerate, accept or be associated with." Gibbes also suggested the performance had been an affront to the players who missed the cut for the match-day squad. "There's guys in the non-23 that weren't there but helped us prepare during the week and they will be sitting at home watching it on television." he added. "They should be, rightfully disgusted, possibly too strong, but they will certainly be feeling let down." Fly-half Jarrod Evans got the first of Cardiff's four tries after just two minutes and Blaine Scully crossed to make it 14-3 before the end of the first quarter as Ulster's game-plan went up in smoke almost from the outset. After Ulster had trailed 17-6 at the break, two John Cooney penalties reduced the margin to just five points but Cardiff ran in two more tries through Kristian Dacey and Dillon Lewis on either side of Dave Shanahan's late consolation score. "We anticipated the importance of getting front foot early but they set the tone and we played the role of the team of the team trying to contain them and that showed within five minutes of the start and that's pretty disappointing." said Gibbes. "It's not what our preparation looked like and we looked to be the aggressor not to be the team that's trying to hold them out. "There's things we've got to look at: was the selection right was the coaching done well enough during the week? Obviously, the players bring in their final piece to it so, yeah, that's what we've got to look at. "Danny (Wilson, the Cardiff coach) did a great job in preparing his team but we weren't hard to beat which is really quite hurtful to say." 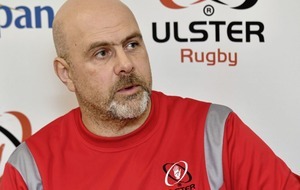 A win-or-bust showdown with Connacht to determine the last place at Europe's top table is by no means certain further down the line as Ulster are now anxiously looking over their shoulders. Benetton Treviso are now just a point behind Gibbes' men in fifth place in Conference B, following a bonus point win over Southern Kings, and the Italians have an easier run in as they jostle with Ulster for a Champions Cup play-off. "We've got to have a look at ourselves and the coaches as well and we've just got to come up with an idea about what's going to transfer from the training field on to the pitch (against Edinburgh) at Murrayfield in a fortnight's time." said the 41-year-old. "Regrading play-offs, to be honest, I'm not too fussed about stuff like that and we don't have too much long-term planning as such. "We go week to week and try to get each week as good as we can, try and stack enough of those weeks up in a row and try to be right for Murrayfield."